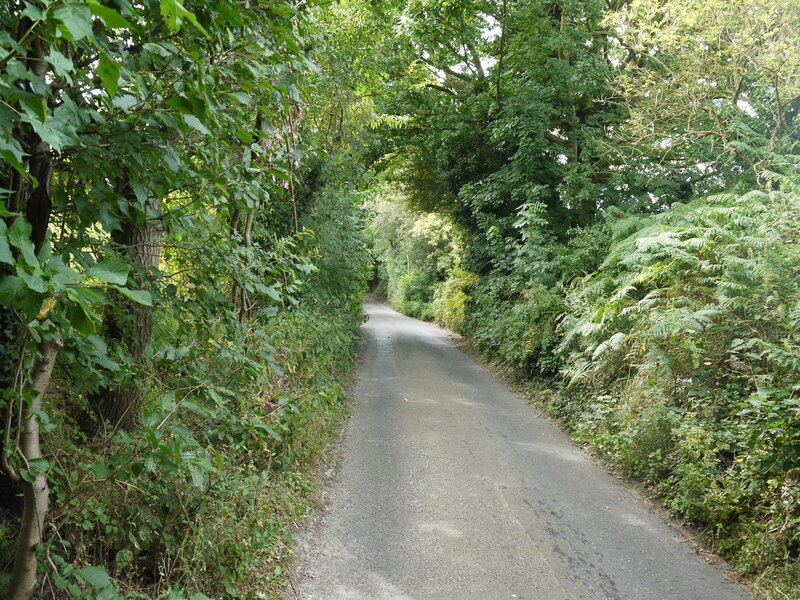 Quite simple, because in the early decades of the 20th century Langdon Hills was also used for Motor Hill Climbing. The first race I believe took place in 1906 not long after Shelsley Hills first race. The race was organised by the Essex County Automobile Club. First prize went to J G Fowler in his 24hp Panhard Car; Second place went to Captain J R R Newman in his 18 Mercedes. It was reported that there was quite a gathering for this unique race and that the hill was eminently suited for the competition. Thanks were given to Sir Joseph and Lady Dimsdale from Goldsmiths for their kindness in providing facilities and entertainment of the members of the club and their friends. The route taken was up Old Church Hill. The following year in July the race, this time appears to be organised by the Southend and District Motor Club. The reporter from the Southend Standard who goes by the name of ‘AMICUS’ reported that the man who says Essex is flat should be sent to live next to Laindon (Langdon) church. He goes on to say that there may be hillier spots in Essex and worse roads but he neither wants to know or see them after Laindon (Langdon). After getting a lift from Southend he eventually reached the Crown Hotel where he came across a crowd of desperate looking tramps donning goggles. The garments they were wearing were fit for no other purpose than for motor racing. Everybody seemed to be busy lubricating their motor cycles and cars while the secretary Warnery was dashing about looking for a hill stiff enough to make the race a challenge for the competitors and entertaining for the large crowd that had gathered. 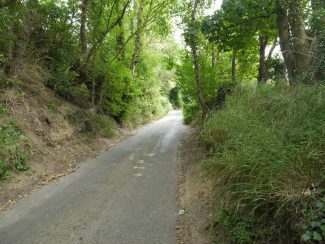 The incline or decline down Old Church Hill according to how you look at was approximately 1 in 8 with a surface like Shoebury beech. The idea of the race was for the competitors from a standing start had to get to the top of the hill as quickly as possible. The champion in the car section was a Mr Perry in a Yankee ‘Ford’ who had previously done great things at the Irish and Saltburn trials. Messrs Head and Laing’s Humber ’s did well and Mr Spencer’s Maxwell was good enough to come third. Many of the cars, tri-cars and cylinder cycles, failed to reach the top, gears being smashed and the odd machine catching fire. Mr Summers on his twin cylinder cycle had a dog jump out in front of him, causing him to be badly thrown and his machine damaged. Fortunately he was not seriously injured. At the end of the competition the competitors returned to the Crown where they washed and changed cloths; resulting in these likely tramps, looking like gentlemen again. They then enjoyed a substantial tea provided by Mrs Greenfield. A report in the local Evening Echo in 1999 informs us that the race actually took place on the 6th May 1906 and prior to the race taking place the Rt. Hon Sir James Dimsdale Bart had entertained the competitors and members of the Essex County Automobile Club to a champagne lunch. 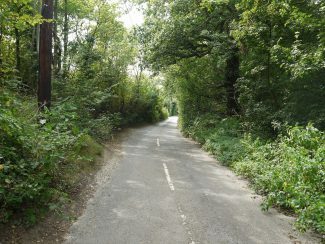 The route taken was as already stated ‘Old Church Hill’ but then it was referred to as ‘Two Church Hill’. The drivers had to drive their cars halfway up the Hill, stop for 30 seconds and then hopefully complete the climb. The competitors had to pay an entrance fee of 7/6d. There is however a debate who won the race, the Echo states it was Capt. J Newman in his 18hp Mercedes. The Southend Standard report at the time has J.G.Flowler as the winner and Newman coming second but we have to remember that there were different classes so maybe they each won a class. It would appear they returned twice the following year, the first on the 6th June and on this occasion the fastest time established was by Cecil Edge, driving a 60hp Napier. Edge later that month competed at the newly opened Brooklands Circuit where he drove non-stop for 24 hours covering 1,586 miles at an average of 65.9mph. Many doctors at the time felt that he would go insane during the drive. The feat has been compared to the first ascent of Everest. The second event was on the 14th July and as already mention was won by Mr Perry in a ‘Yankee’ Car. It was going to be another fifteen years before the racing fraternity once again returned to race at Langdon Hills. Not sure why it was so long before they returned but I have no doubt the First World War had something to do with it. The race was held on the 27th May 1922 and the Southend Standard reported that the venue was Crown Hill, Laindon (Langdon Hills) from the top of which is obtained one of the finest views in East Anglia . The course up Old Church Hill was over half mile long and at its steepest 1 in 6. The event attracted 1,078 entries of which 816 were cars, 236 motor vehicles and 26 cycle car and three-wheelers. Some 300 more than the previous event that had been held at Thundersley and is still the record number of entries for any motor sport in this country. There were not as many spectators as the previous event but considering the difficult terrain this was no bad thing. However, there were still plenty of dignitaries. Viscount Elveden, Col. Hilder, Sir Alfred Yeo and Captain A.E.Martin, the Mayor of Southend Ald. Sir John Frances, Mr H.H.Burrows (Chairman of the Essex County and Southend Automobile Club), Mr F.W.Keddie (Hon. Secretary) , and Sir Henry Maybury (Director of Roads-Ministry of Transport) and with their ladies viewed the Old Church as they watch the proceedings. There were too many individual events to list the results but the one that does stand out was the speed of Capt. Fraser Nash driving his GN Car, named Kim. His time of 28.6 seconds was, however, match by Mr K.S Duncan on a Sunbeam motorcycle. Although the Southend Standard does not mention their names the Echo states that the spectators were entertained by Raymond Mays driving his 1.5 litre Brescia Bugatti and Mr J Parry Thomas who at a later date was to lose his life at Pendine Sands in Wales driving his well-known car, Babs, during an attempt on the World Land Speed Record. Maitland Keddie son of David Keddie (Keddie’s store Southend) also gets a mention in both papers. The office building above Keddie’s store was known as Maitland House. I worked in this building for four years in the late 1960s. The 26th May 1923 saw the last event and there were only 30 entries. The fastest climb was by John Joyce, who drove an AC up the hill in 30 seconds. Although the highlight of the event was provided by Parry Thomas in his racing Leyland Eight; It appears that the finishing banner was not in position when he flashed past the line at tremendous speed not realising he had actually crossed the line. The road ends with a ‘T’ junction and with great skill Thomas turned left with the car coming round on two wheels, much to the alarm of the onlookers. He pulled up after hitting two motor cycles and running over a policeman’s foot, fortunately without damaging the owner. Thomas actually won his class, beating Raymond Mays by 32seconds to 34seconds. Nina Humphrey who lives in Langdon Hills tells me that her father, George Burton and his friend Jimmy Richards at the age of 14 climbed a lamppost to watch the proceedings (1922/23?) and a photograph was taken of them and appeared in a local paper. Unfortunately we have not been able to trace the photograph. In 1924, the hill was judged to be unsuitable for competition and the following year the RAC competitions committee refused to grant any further licenses for competitive motor sport on public roads. The reason the feature appeared in the Echo in 1997 was because Motor enthusiast Canon Lionel Webber had organised a motor rally for July 5th to raise money for St Martin ’s Church bell tower and to also celebrate the 75th anniversary of the 1922 hill climb at Langdon Hills. Sir Stirling Moss was one of the famous names to attend the rally. The photographs are of parts of Old Church Hill where the Langdon Hills racing took place. What you have to try and visualise is what it was like back in the 1920s. The road would have been narrower and made of gravel the spectators would have been perched on the banks, quite a scary scenario. The Crown Darts Team at "Play"